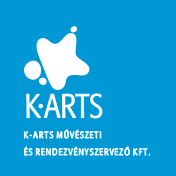 Creative workshops | K-ARTS Művészeti és Rendezvényszervező Kft. We have been organizing creative workshops since 2004; the Steel Sculptural Symposium of Kecskemét (KASZ+), which is a metal sculptural and fine arts creative workshop, is organized at the steel structure manufacturing facility of KÉSZ Industrial Park. Hungarian and foreign artists participating in the workshop have the opportunity to test their skills and create their statues, metal sculptures and pictures using the materials and tools made available for them. The special works of art created here are exhibited every year at different places all over the country. Some of these artworks have been set up in public areas, while others have been added to different collections.